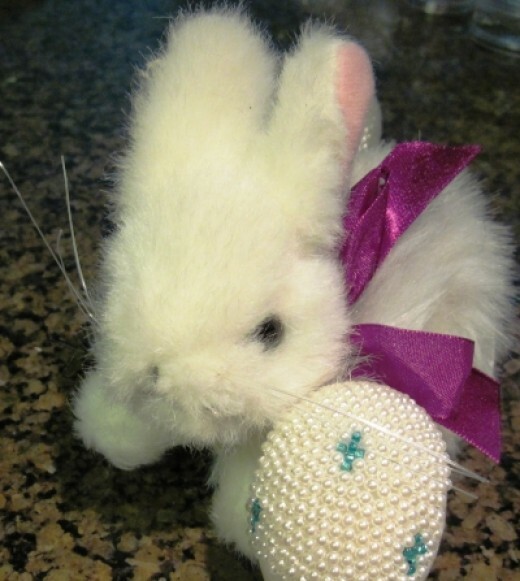 Everyone loves a decorated beaded Easter egg! 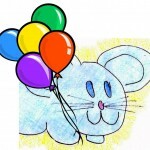 Many years ago, I wanted to think of something different, something special for my children on Easter. Since we always have the traditional Easter egg hunt, I decided to make a special Easter egg for each precious chick. I sat down with the plastic eggs we usually hide and thought, what can I do. 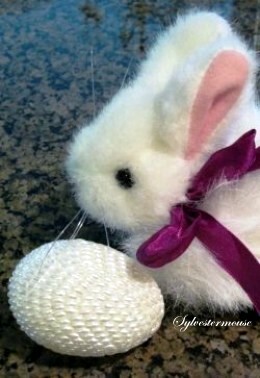 I pondered the egg for a little while, examined my craft supplies and viola’ the beaded Easter egg was created. That was over 20 years ago and my original instructions have been copied many times. However, I can assure you, these were completely my own creation. Feel free to ask any questions in the guestbook. Today, I am willing to share my own creations with you and show you how to make your own very special Easter Egg! Beads ~ Any color, style or shape ~ Mixing colors is fine, of course, but I would stick to only 1 bead shape. These eggs are really very simple to make! Before you begin, set up a work area with your beads separated. Glue Your Beads on the Egg. Be Sure to Turn the Beads on their Sides so the holes in the beads do not show. I know you are going to ask me about choosing a pattern and I have to be honest, I never use a pattern. I just play with the beads on the counter until I see a pattern or combination I like. I would recommend starting with something very simple like using beads or rhinestones that are all the same color. I do not recommend combining shapes in your beads or rhinestones on your first few creations. That will leave gaps in your design and probably will not look as finished as you would prefer. If and when you are ready to play with different shapes, be sure to have small, filler beads on hand to fill in those unwanted gaps. If you really must have a pattern, consider an extremely simple counted cross stitch pattern like you would use to cross stitch a bookmark. Since cross stitch patterns are laid out in a graph form, they would be easy to follow for placement of the beads. Mosaics are very popular right now. 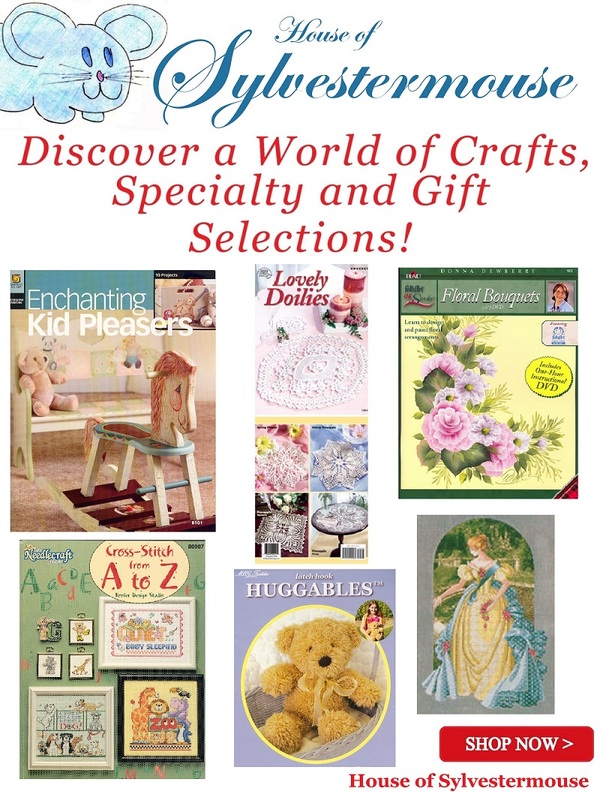 Look at mosaic designs in books, patterns or on the internet and copy what you see. But remember, this is about having fun and making your own unique beaded Easter egg. 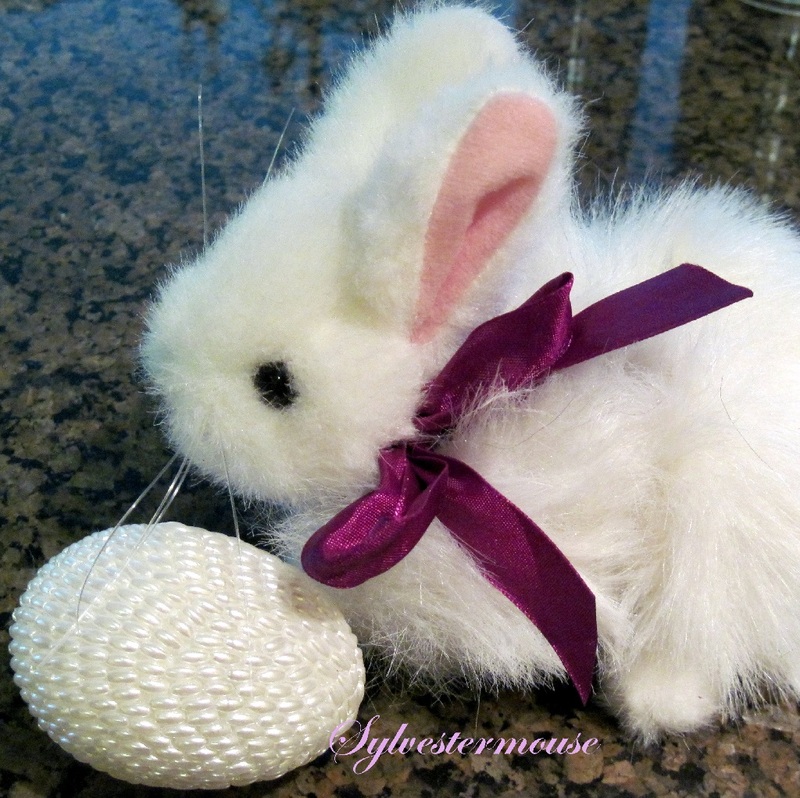 I went in search of white plastic eggs online. I have never purchased anything from either of these online stores, but here are my results. 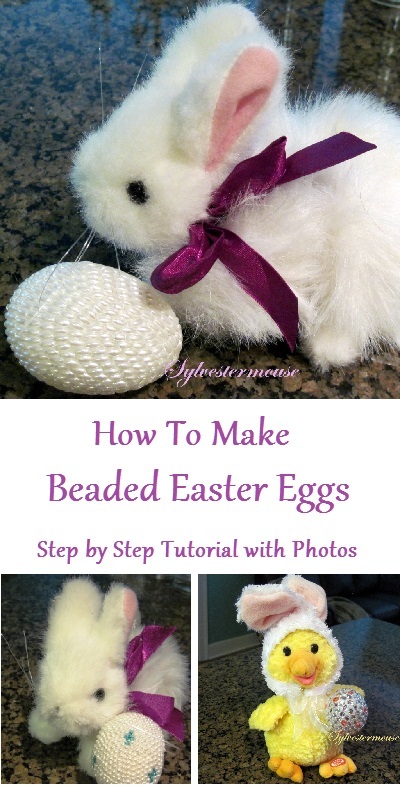 Share How to Make Beaded Easter Eggs! How beautiful your beaded Easter Eggs turned out. Thanks so much for sharing your tutorial. 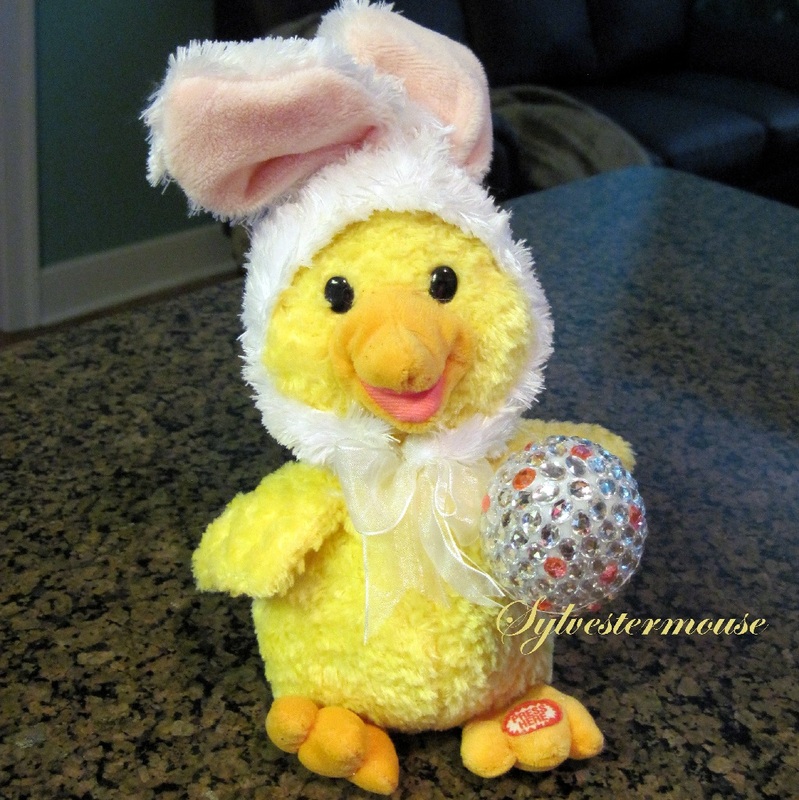 What a fun and pretty easter project for the family – and you get to display them all year too, that’s how nice they are! What a beautiful result for such a simple craft! Love these beaded Easter eggs!